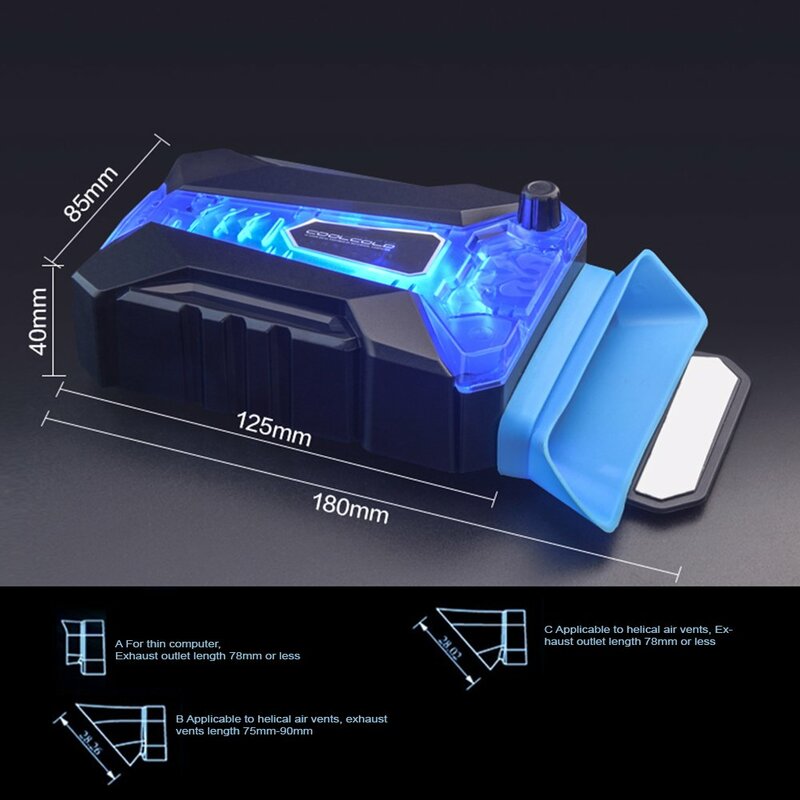 SLEEK DESIGN: Compact, stylish, and innovatively designed USB powered laptop cooler with dazzling blue LED lights and anti-slip grip. Fan is built inside and will not be harmful to children. HIGH PERFORMANCE: Configuration of 4 different sizes of silica gel. Reduces temperature by 20% immediately. Long lasting, high speed motor. ADJUSTABLE FAN SPEED: Comes with a manual mode to adjust the speed of the fan. LIGHTWEIGHT: Compact and easy to bring with you wherever you go. Great for traveling and compatible with most laptops.